Vacuum cleaners are undeniably helpful and convenient in the hustle and bustle of daily life. Thanks to them, housewives have more time to relax and enjoy some activities with their families. In fact, vacuums have evolved greatly since the first one was invented in 1912. The later models are more sophisticated and multi-functional than previous ones. Nowadays, the world’s most advanced vacuums belong to robotic series. 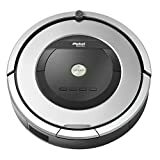 A robotic vacuum cleaner, also known as robovac, is an automatic vacuum cleaner that is equipped with intelligent programming and a limited vacuum cleaning system. iRobot is one of the leading company in the industry and they have introduced a wide range of robotic vacuums to the market. Above all, the most impressive series is Roomba family of vacuum robots which is a combination of a powerful cleaning system and intelligent sensors. In this post, I will show you the similarities and differences between 2 models in the Roomba series: Roomba 650 and Roomba 860. Firstly, the vacuums come from the same manufacturer, namely IRobot Company. They may be not as sophisticated as later models, but they are still more than adequate for vacuuming needs of the average home; therefore, high-income families can afford those vacuums. The canister design gives the benefits in cleaning carpets and many kinds of hard floors. In addition, Roomba 650 and 860 is great in removing pet hair with their powerful suction and filtration. Like other robotic vacuums in the family, both Roomba 650 and 860 are equipped with AeroForce 3-Stage Cleaning system which helps remove up to 50% more dirt, dust, hair and debris. Moreover, they have the iAdapt Navigation which improves cleaning performance and prevent dangerous falls as it makes use of a series of sensors and software. Although both vacuums have some similar basic features, they are still different in some ways in order to make one vacuum more standout than the other. – Roomba 650: this vacuum is only available in black color with a few buttons on the surface. Its design is quite attractive: the dimensions are suitable for a cleaning machine as it can reach hard parts of your house, such as under beds or furniture. In addition, it is pretty lightweight and portable, so it can smoothly crawl around your house. In fact, Roomba 650 is seen as the most beautiful, minimalistic smart floor cleaner from iRobot. – Roomba 860: Roomba 860 is only available in silver color which makes the vacuum more elegant and special. This model is larger than Roomba 650 (in size) and the button organization is also different. Because of those appearances, Roomba 860 raises more curiosity and attracts more attention. Its dimension is another advantage since the vacuum can reach difficult positions. It is also a great decision that iRobot decided to add an extra HEPA filter which helps trap fine particles. This is the most concerned feature when it comes to cleaning machine. If a vacuum does not meet the minimum requirements of a customer, you should consider an alternative. Let look at more details why these two smart floor cleaners are worthy your investment. Roomba 650: Roomba 650 is a random cleaning robotic vacuum that are likely to miss a spot or two. Therefore, in order to maximize its efficiency, placing a Virtual Walls that limits the area where Roomba 650 operates is necessary. In addition, you should frequently keep an eye on the Roomba 650 as it can go under furniture and get stuck. It is better to notice it right away. Another thing is that Roomba 650 has a weak navigation system, so it may collide with obstacles on its way. In order to avoid such problem, it is suggested that you should remove such objects from the room and free the spaces and things like slippers, cables, etc. With the 3-stage cleaning system, the suction power is so wonderful that it can pick up everything from floor and also work wonders on many types of floor, such as hardwood, carpet, rugs and more. Roomba 860: Roomba 860 is iRobot’s answer for the requirement of enhancing the cleaning capabilities. With 5x more power, improved sensing abilities, concentrated cleaning and 3x battery life, Roomba 860 can operate without minimal mistakes. Besides, Roomba 860 can deal with different surfaces; clean out dirt, dust, pet hair and more. The Roomba will concentrate more on a certain working area and make the area spotless if you place a Virtual Walls. It is the fact that Roomba 860 is not as powerful as some traditional vacuums, but iRobot solved this problem by making the vacuum do more passes over your floor in order to make sure that no dirt is left behind. The biggest drawback is Roomba 860 seem find it difficult to reach the house corners. It is understandable that it has circular design with small side brush so that cleaning the corner spots is not that perfect. Another important feature is the power. Roomba 650 and 860 are different in terms of battery which depends on the technology and usage purpose. The lithium-ion batteries you find in Roomba 860 add another good point to the vacuum as these batteries have more lifecycles and last longer than Ni-MH batteries, the ones in Roomba 650. Therefore, in case Roomba 860, you will need to replace them less often. Roomba 650 uses AreoVac technology which utilizes airflow to not only pull additional hair and debris off Roomba’s brushes, but also guide the dust back to the back of the bin so that you have to empty the dustbin less often. Roomba 860 uses AreForce technology which gives the vacuum more powerful suction feature and makes it as much as 5 times more powerful than the 600 series. This is the latest feature that you can only see in the pricy vacuums. The 860 has tangle-free debris extractor which break down debris, hair and pet hair so that you would not have to deal with the tangles and jams. The 650 do not include this feature. The Roomba 650 gets very good feedbacks from its users. 71% of the customers on Amazon give it 5 star out of 5. Most of them are satisfied with the results as compared to the price. Many families love this porducts as it is a powerful vacuum and aslo does not make much noise. However, the Roomba 650 is complained about easily getting stuck. 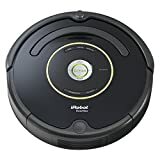 The Roomba 860 receives pretty good reviews on Amazon. Some users see it as the best vacuum cleaner they have ever bought and just happy with their investment. The product is praised for its fantastic cleaning performance, but one obvious disadvantage is to work poorly with pet hairs. In conclusion, Roomba 860 has some features that maximize the efficiency. It has powerful suction feature and is a better cleaning performer but also much pricier than the 650. However, if you have a small house or just use vacuum cleaners in small area, Roomba 650 is more suitable.